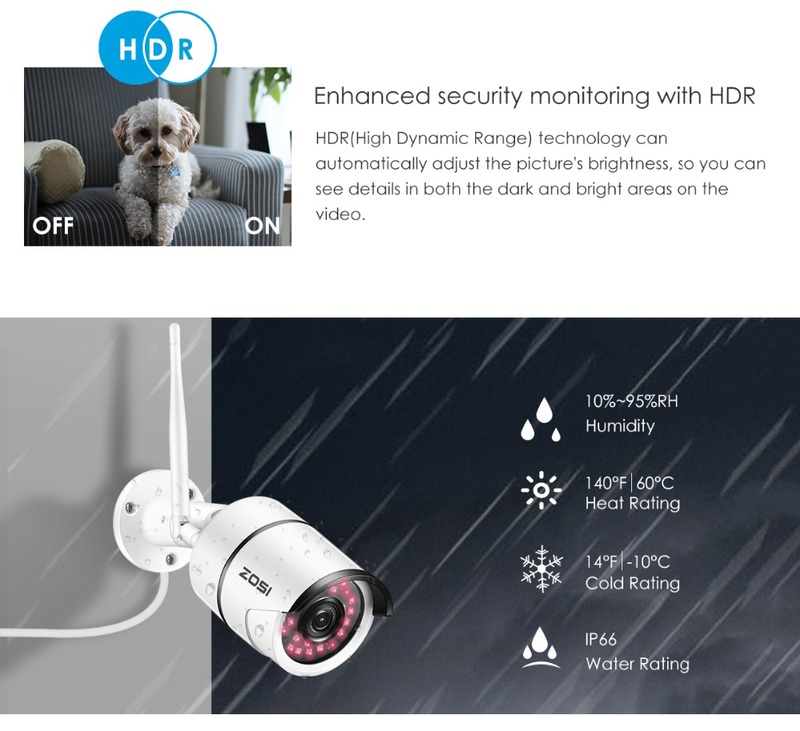 【1080P High-definition WiFi Security Camera】-- Get a sharp and crisp image day or night with the camera's automatic IR-cut filter. 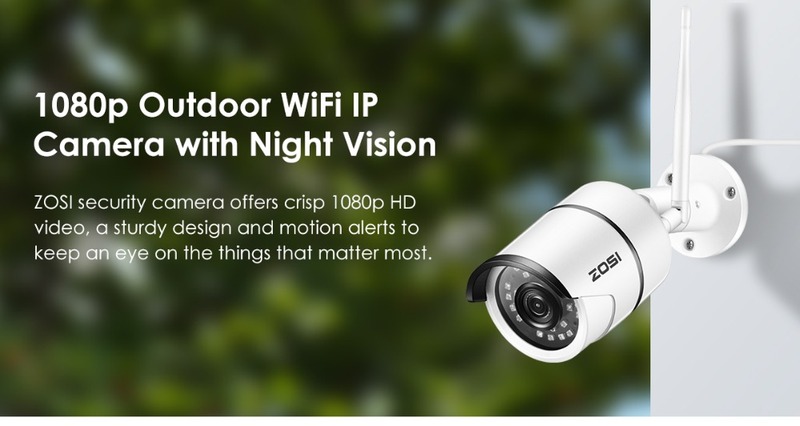 Up to 100ft night vision and wide 95 degree angle allows you to see more detail and cover more ground to keep more of what you love safe. 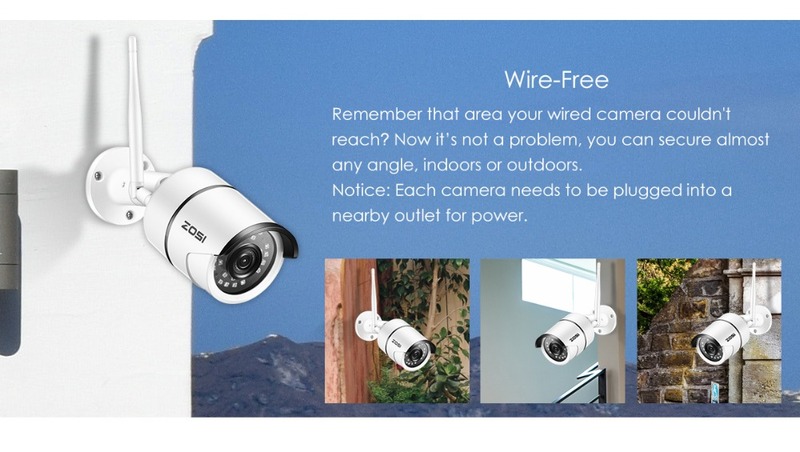 Aluminum weatherproof housing, cameras can be used indoors and outdoors. 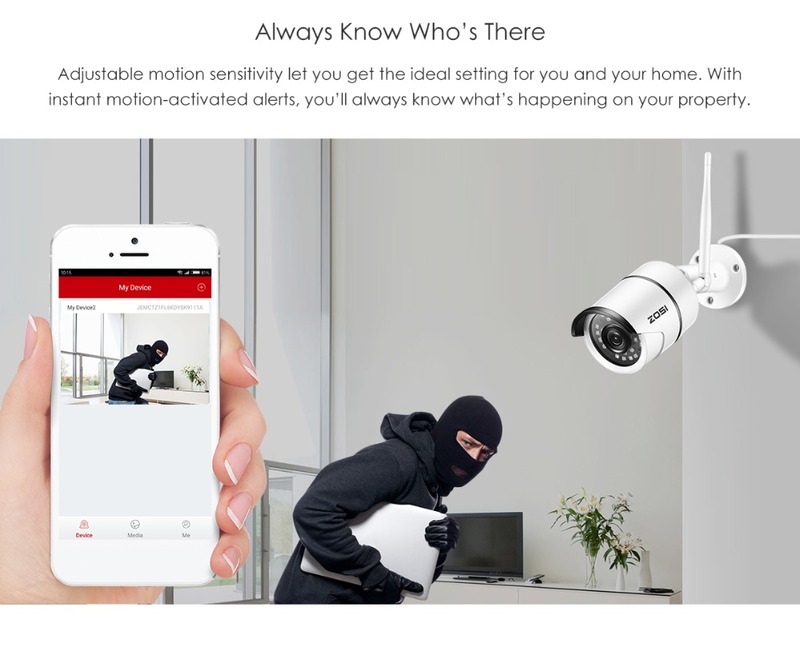 【Smart motion detection】-- Be notified when there are unexpected movements. 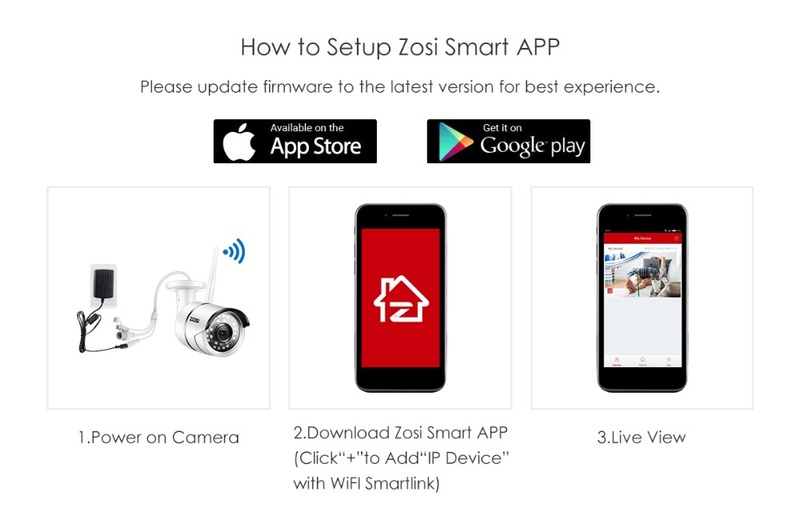 Smart notifications with image will be pushed to your smartphone via iPhone/Android App.This outdoor camera support motion detection recording to Micro SD card(sd card not included). 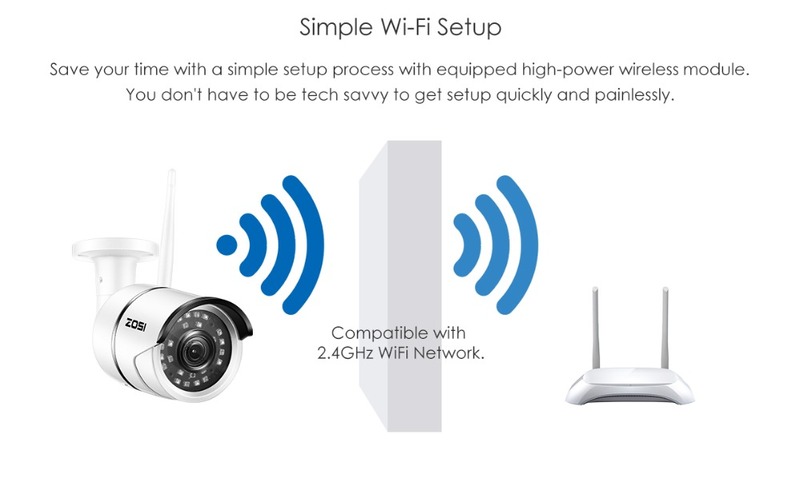 The wifi camera supports SD card up to 256GB. 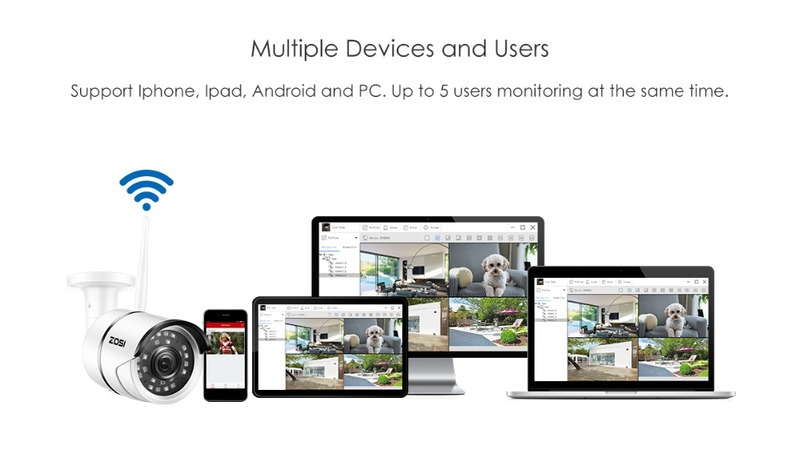 【 Warranty & Noted】--2 years quality Warranty, 60 days money back guarantee. Life time Tech Support ! If your product stops working in the first year we will replace it. Noted: this product doesn't include a micro SD card.